The eRodent Pet Show Page. Welcome to the eRodent Pet Show Pages. 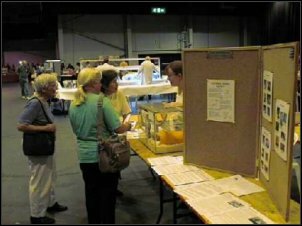 Here are links to two pet shows attended a few years ago in Telford and Luton. I'm not a huge fan of animal shows as I think that they encourage overbreeding when the rescues are full. But they are a good place to provide information to people and so I have left up these story from 2000 when we went with our Persian Jirds and Degus.